As one of the best known music stars of recent times, the biography of Aretha Franklin is quite the interesting story. From performing at the inauguration of Barack Obama to the classic days of her vocal career prompting such hits as Think, Aretha Franklin is a star of landmark quality. Aretha Franklin was born in Memphis, TN, on March 25, 1942. Her given name is Aretha Louise Franklin. The daughter of a Baptist minister and a singer, Franklin was raised to be herself against the odds--especially having four siblings to compete for attention against. Sisters Erma, Cecil and Carolyn kept Aretha busy, as did Aretha's half brother Vaughn. After her parents separation, Aretha was raised largely by her grandmother and other strong female influences. This time period is said to have inspired Aretha's boisterous personality. Later, when Aretha had two sons at the age of 15 and 17, her grandmother raised the children in order to allow Aretha more time to her career. Aretha's passion for music began when she taught herself the piano. 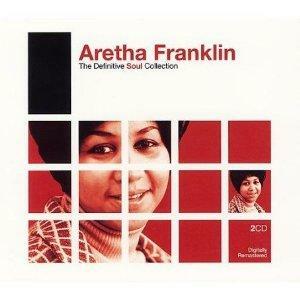 Using her supreme voice, Aretha was able to mold her gospel stylings into an album called Songs of Faith. Mixing the values of her father and the emotion brought forth by her grandmother, Aretha found a means of expression that many young woman in Memphis did not have at the time. Aretha Franklin's first hit with Atlantic records, which she signed to in 1966, was I Never Loved a Man (The Way I Love You). The track meshed blues with religion and held for seven weeks at the top of the R&B Billboard charts. The follow-up single to I Never Loved a Man (The Way I Love You) is the track that Aretha is likely best known for: Respect. Many are unaware that the track was originally an Otis Redding release. The track lasted on the charts a week longer than I Never Loved a Man (The Way I Love You). Respect also won Aretha a Grammy award in 1968. In many ways, Aretha's career switched gears. The early 1980's brought a more pop friendly sensibility to radio and Aretha at first was resistant to change. She re-released her 1968 hitThink in 1980 after signing to Arista Records and appearing in the movie The Blue Brothers, in which she performed that song. The combination of The Blues Brothers and Franklin helped her breathe new life into her career. Later, Jump to It, Freeway of Love, and I Knew You Were Waiting (For Me) continued Aretha's move towards 80s pop style. Aretha continued to release albums such as the 1987 release of One Lord, One Faith, One Baptism and followed the album up with 1989's Through The Storm and 1991's What You See Is What You Sweat. Later, Aretha scored again with a hit on the Sister Act 2: Back in the Habit soundtrack. There are few people who you could ask to recant a biography of Aretha Franklin who would not tell you the lasting impact that she has had on music in the United States. In addition to having some of the best well known tracks, Aretha's songs are made relevant time and time over again through numerous covers--including many versions on American Idol. Aretha also performed at the 2009 Presidential Inauguration Ceremony and was the only artist to do so. Artist from Beyonce to Lady Gaga to Britney Spears cite Aretha as one of the greatest performers of all times. She was also the first women to be inducted into the Rock and Roll Hall of Fame and is the youngest recipient of the Kennedy Center Honor.